Mystic Lake Casino and Hotel in Prior Lake, Minn.
Just a month after crowning a new flyweight champion, Resurrection Fighting Alliance is back with its 19th event. 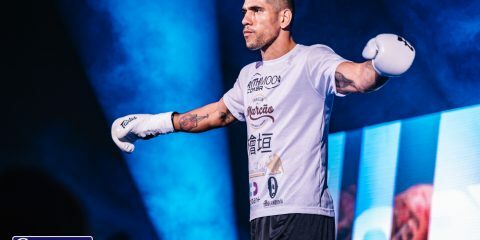 This time the focus is on the vacant middleweight championship. Fighters don’t often jump straight into a title fight when making their promotional debuts, but that will be the case when undefeated Gabriel Checco collides with Rodney Collier, who has just one loss on his record. The 28-year-old Checco made his professional debut in 2012 and stormed through his first seven opponents with ease. The problem is that his opponents hold a current combined record of 8-12, and one of his victims possesses six of those eight wins. Furthermore, four of his opponents were making their pro debuts when fighting Checco, and another was 0-2 coming into his fight with the undefeated prospect. “Zangief” has one knockout, three TKO finishes and three submissions on his resume, with four of his stoppage victories coming in the first round. The Brazilian has trained out of Chute Boxe, Gracie Humaita and the B9 Team. Checco is a highly decorated Brazilian Jiu-Jitsu black belt. 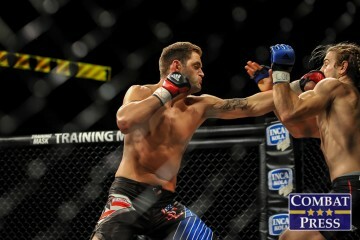 Collier made his pro debut in 2010 and remained undefeated through his first three fights. In his fourth outing, the Missouri-based fighter succumbed to a first-round triangle choke against Kelvin Tiller. He has rebounded with four more wins. The 25-year-old has seen the scorecards on just one occasion and the second round on just two. 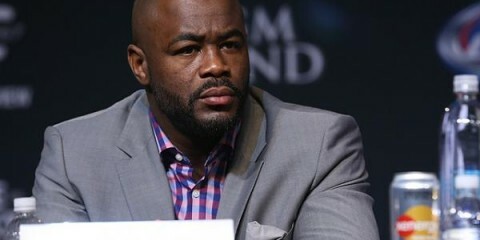 Although several of his wins have came against sub-.500 fighters, Collier has defeated a much more experienced set of men than his counterpart. In fact, the opponents that have fallen to Collier now stand at a combined 58-71. The most notable name in that list is World Series of Fighting veteran Cully Butterfield, who dropped a unanimous verdict to Collier under the Rumble Time Promotions banner. Collier has three TKO victories, two submission wins and a knockout victory. Although he has a competent ground game and the ability to control from top position, Collier is at his best as a striker. Collier constantly presses forward when attacking on the feet, but he’s extremely reckless. He rushes into takedown attempts and sometimes throws himself off balance while throwing strikes. He won’t want to take it to the mat with a grappler like Checco, but he might find himself there anyway if he gets too aggressive on his feet. Checco isn’t a world-class striker, but he has the power to keep Collier honest. If Collier does rush in, Checco is quite capable of changing levels for the takedown. The Brazilian also has the strength to turn a body lock into a slam takedown. Checco really excels on the mat. His grappling background makes him a constant submission threat, but his wins are more a result of his ability to maintain top control and rain down a vicious barrage of ground-and-pound. Collier’s wild style won’t do him any favors in this contest. He’s likely to score early with combinations, but he’ll leave openings which Checco will use to drag the fight into his world. Collier is dangerous from the bottom, but Checco should be able to fend off any armbar or triangle choke attempts thrown his way. Checco will control the position and tag Collier repeatedly en route to a stoppage late in the first stanza. 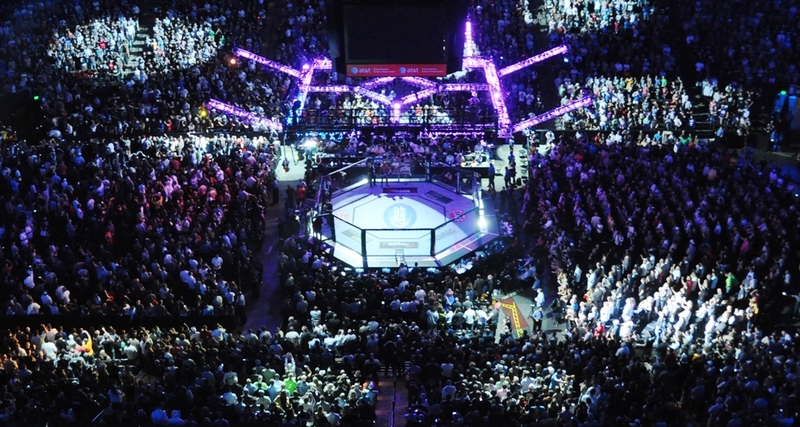 The X-Treme Fighting Organization has been a mainstay in the Chicago area for the last decade. The organization has often featured fighters from the locally based Team Curran, and one of the camp’s fighters, Matt Fiordirosa, has grown up with the promotion. From his amateur beginnings in 2005 to his return to action in 2014 following a four-year layoff, Fiordirosa has made a total of 14 appearances with the XFO. On Oct. 11, he’ll add his 15th fight with the company when he takes on undefeated upstart Dyllon Muniz in a showdown of lightweight prospects. Despite such a lengthy fight resume, Team Curran’s Fiordirosa checks in at just 29 years old. He fought four times as an amateur under the XFO banner and emerged unscathed with four TKO finishes, including three first-round stoppages. He didn’t draw an easy pro debut in 2006, though. Future IFL and WEC fighter Wagnney Fabiano welcomed “Sunshine” to the pro ranks by handing him a unanimous decision loss at a Freedom Fights show. Fiordirosa returned to the XFO for his next three fights, all ending in submission victories for the prospect. 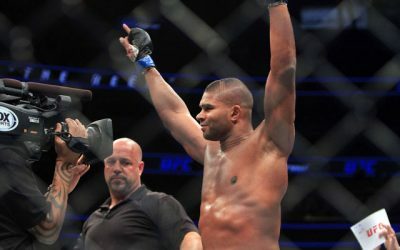 He then started a trend that has continued throughout his career by taking a single fight outside the XFO before returning for three more consecutive appearances with the XFO. The pattern has paid off thus far, with Fiordirosa finding victory at every turn since his loss to Fabiano. Among his victims, Fiordirosa has submitted Tristan Yunker and claimed a decision win over Chase Beebe. The 29-year-old’s pro career was booming in 2006 and 2007, a stretch in which he fought 11 times. He was inactive in 2008-9, but returned in 2010 for two more victories. 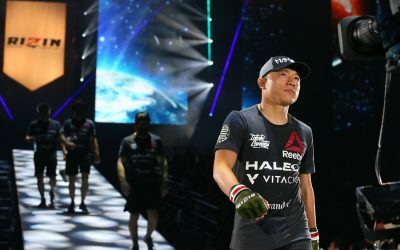 He fell off the radar again in 2011, opting to return to school and focus on other aspects of his life, but he made a triumphant return at XFO 52 in August 2014. Fiordirosa is the head coach of the varsity wrestling team at Lake Forest High School, and he credits the team’s success this year as his inspiration for returning to active competition. “Sunshine” has claimed five wins via some form of knockout and six by way of submission. Fiordirosa’s 21-year-old opponent is off to an excellent start in his pro career after a seven-fight run as an amateur. Muniz ended his amateur stint with a 5-2 mark, including a first-round submission loss in his final amateur outing. The former World War Fighting Championships amateur lightweight champion made his pro debut in early 2014 with the WWFC and avenged the final loss of his amateur career in his sophomore pro outing. “The Disciple” has scored two submission finishes and one TKO stoppage as a pro, and all of those wins came within the first stanza. The Ryker MMA fighter has also spent time training at the Roundkick Gym. He scored four submission wins during his amateur run. Fiordirosa, who some fans might recognize from the old TapouT reality series, has all the tools needed for a successful MMA career. He has a solid wrestling base that allows him to fend off takedowns with a great rate of success and score big takedowns—he’s been known to lift opponents off the mat and slam them to the ground. 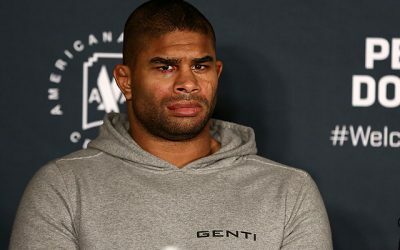 Upon his return following a long absence from the sport, “Sunshine” spent a week at Jackson’s MMA working out with old friend and UFC fighter Clay Guida. Fiordirosa shows a lot of the same tendencies as Guida in the cage, with a preference for a high work rate, lots of movement and overpowering wrestling. His game plan usually involves pressing opponents against the cage and swarming them with punches before pouring on the ground-and-pound attack on the mat. He’s a skilled grappler as well, and he can be just as dangerous from the bottom as from top position. Muniz will have his hands full with Fiordirosa. Not only is he fighting a man with nearly five times the pro experience, but Muniz, a Muay Thai fighter, will have to contend with an extremely aggressive wrestler. Muniz will spend much of his time worrying about the takedown and not enough time implementing his own game. Fiordirosa is not only skilled at taking down his opponents, but at using those takedown attempts to set up his striking game against the cage. If he’s not finding success with the takedown attempt, he’ll create separation and blast his opponent with a flurry of punches. Fiordirosa should have his way with an opponent who turned in mediocre results as an amateur and has just three fights as a pro. This fight will end within the first frame via either a ground-and-pound TKO or a submission. Pankration is often cited as the ancient precursor to what we now know as mixed martial arts. The Far Eastern Federation of Modern Pankration, or FEFoMP for short, seeks to honor the legacy of this ancient Olympic sport in the modern age. 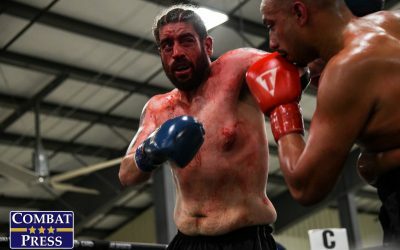 It’s latest event, co-promoted with the Fight Nights organization, includes a championship tournament and a heavyweight bout pitting Russian prospect and Fight Nights mainstay Konstantin Erokhin against Bellator and Legacy FC veteran Richard Odoms. Odoms has been out of action for over a year. 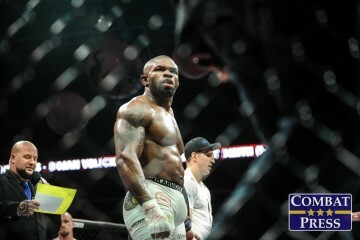 His last two appearances came in the Legacy cage, where he suffered a unanimous decision loss to Jared Rosholt and claimed a unanimous decision win over D.J. Linderman. 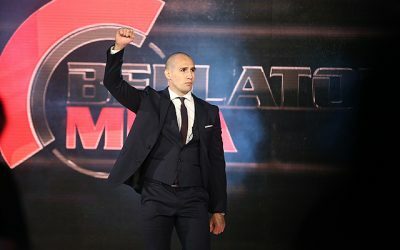 The 39-year-old’s lone Bellator appearance ended in a split verdict in his favor over Dale Mitchell. 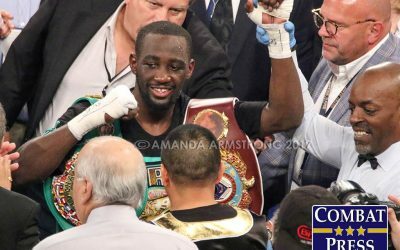 The San Antonio-based fighter has seen the scorecards in six of his nines professional outings. He does have two wins by some form of knockout and one via submission. The police officer has a background in boxing and holds a 5-0 mark as a professional in the sweet science. The 32-year-old Erokhin made his pro debut in 2012, but he lost the fight to Denis Goltsov by way of knockout. The Russian has not suffered another setback since that loss. 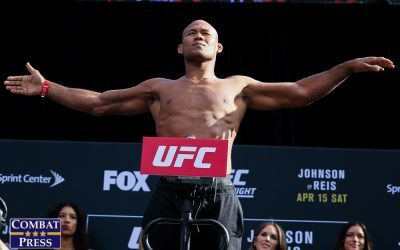 He stormed through his next five opponents, including UFC veteran Rameau Thierry Sokoudjou, via TKO or knockout in the first round. In his first fight of 2014, Erokhin outworked Strikeforce veteran Brett Rogers en route to a decision victory. In his most recent outing, Erokhin needed just 32 seconds to dispose of fellow prospect Michal Andryszak. 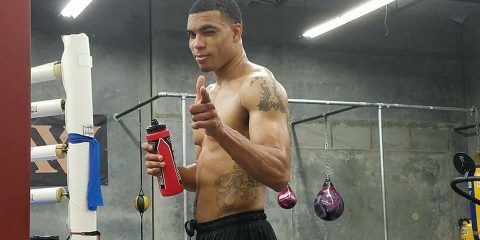 Odoms is an aging fighter who has fought for several significant promotions, but that also makes him the perfect fodder for a beast of a prospect. Erokhin throws crisp combinations and counters. He faced a similar six-inch disadvantage in height against Andryszak, yet he still managed to catch the taller fighter. 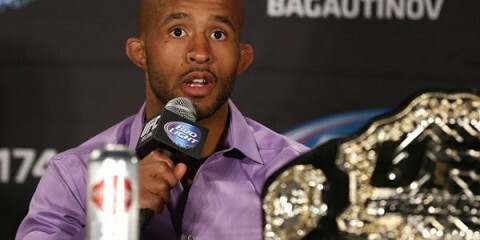 Odoms may have been a boxer way back in 2003, but it doesn’t show in his MMA performances. He fights sloppy, standing flat footed, keeping his hands low and using very little head movement. He doesn’t have a ton of power in his hands, and his approach relies heavily on an equally sloppy opponent who will make mistakes and allow Odoms to gain top position. If he does get the superior position, he can rain down heavy barrages of punches, but they’re usually more effective in scoring points with the judges rather than scoring a finish of his opponent. Erokhin has to like this match-up as an encore performance following his destruction of the much more dynamic Andryszak. Odoms will try to press forward and land kicks and punches, but Erokhin covers well and times his counters perfectly. One of those counters will catch Odoms with his hands at waist level, and it’ll spell the beginning of the end. The Russian will follow with more punches to finish off Odoms by way of TKO midway through the fight.